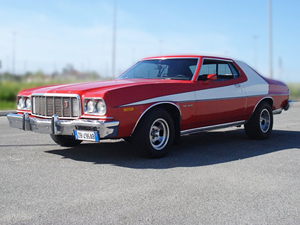 Alex's 1974 Gran Torino has a monster 460 engine, which is perfect for chasing bad guys through the streets and over the canals of Venice, Italy - Ah, Venice! 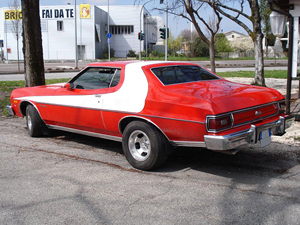 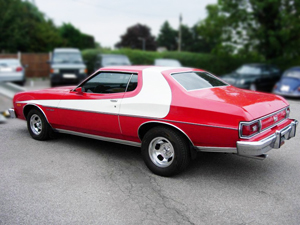 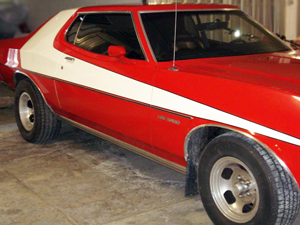 Alex fell in love with the tomato red Ford Gran Torino in 1979, the year in which Italy began transmitting the TV series "Starsky & Hutch." 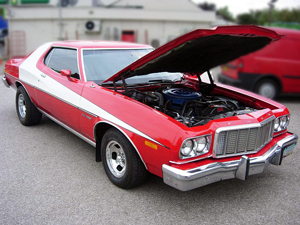 Alex says, "It struck me right away, but I did not know what model of car it was. 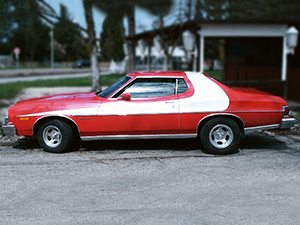 Then one image on the show showed the name of the car on the fender, and from there I started looking for that car. 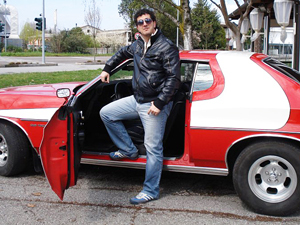 But in Italy in those years, and because of my young age, I was not able to get one. 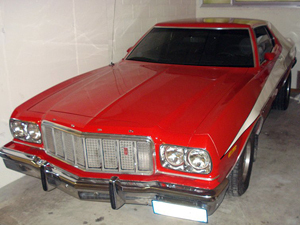 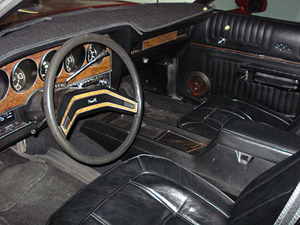 But after 35 years of research, savings, and dreaming - a Ford Gran Torino finally arrived at my house. 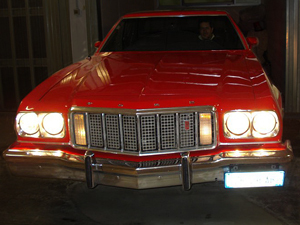 I have realized a big dream!" 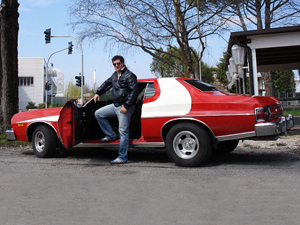 You can tell by the photos that Alex is having fun with his dream car, too! 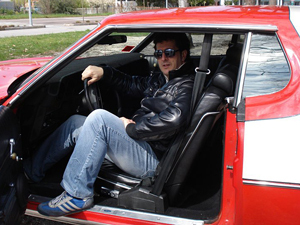 This Page © 2013 StarskyTorino.com Created April 21, 2013.